Season Four of Celebrity Apprentice begins next week on Nine, at 8:40pm Wednesday September 16th. 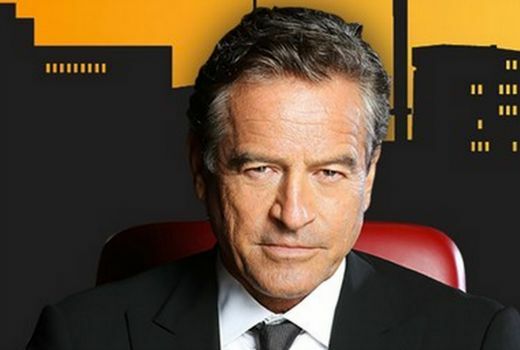 Mark Bouris will be joined by Kerri-Anne Kennerley and Shelley Barrett, CEO and founder of ModelCo. Esther Anderson: Popular Aussie actress. Celebrity Apprentice will bring audiences the same robust conflict, comedy, characters and cleverness we know and love, while also keeping focus on business. Our celebrity contestants will need to rely on more than just their black books to get through these challenges. As always, in Celebrity Apprentice the ultimate goal is to raise much-needed funds for deserving charities, as nominated by each of the celebrity contestants. If they did another non-celebrity version, I’d be all in. Celebrity versions I’ll avoid like pretty much like everything else on Nine at the moment. I usually watch this but not this time. I feel sorry for the well known people who have to deal with people that have had there 15 minutes of fame. Z grade “celebs” desperately grasping at their 5 mins of “fame”, (more like notoriety). Car crash telly at its most embarrassing – should be entertaining. For some reason the words ” bottom ” and “barrel” are flashing before my eyes. If Nine ridiculously split code this like they did with the last season that aired can you just quote it’s lowest figure in your daily rating wraps in protest of this tactic please David.